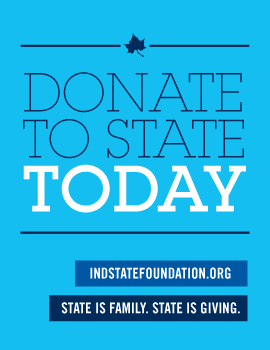 Once admitted to Indiana State University, you will receive (via regular postal service) your University ID number. Then, follow the instructions below to register and begin your classes. NOTE: If you need to register and have not yet received your University ID number, contact the Office of Admissions for assistance. The MyISU Portal offers you access to your University records and other University services, including e-mail and online registration. Click "Activate Your University username." IMPORTANT: You will need your University ID number (found on your acceptance letter), your date of birth, and the last four digits of your Social Security Number. Registration instructions and links to the Class Schedule are located on the MyISU Portal at isuportal.indstate.edu. If you are prompted for a PIN number, contact the Office of Admissions at 1-800-GO-TO-ISU. Once admitted, students must obtain a student identification (ID) card. This ID card is required to access a variety of University resources, including library services. ON-CAMPUS students must go to the Public Safety Building (PS 102) to obtain a student ID card. This office will provide forms and assistance. You will need your student identification number (991 number) to obtain your ID card. ONLINE LEARNERS should visit Indiana State Online registration process for information on ID cards, technical support, starting their courses, and more.